This is the story of an inner city youth who was taken into a war zone and other foreign places. This is the story of an inner city youth who was taken into a war zone and other foreign places. He explored and adapted to all the situations in which he was placed. This is my story. I invite you to see my life through the window of my soul. the book is deep!! every uban man and women should have one!!! This is a very profound peice of work and should be followed up by a movie. I hope there is another part to this story. the way it ended seemed to be a second part. This book had me ready to join the military, very adventurous to say the least. this Clinton Stevens character has done a lot in his with his time in service. I recommend this book to anyone thinking of joining the military or that has any interest in the military. this is a must read. I served in the same unit with Clinton Stevens and he was a character during those early years. Some of the things I read in "Prior Service" I remember to be true. I did not know Clinton on a buddy basis, and therefore I cannot comment on the validity of the entire book. I assumed the parts that I can validate would have me further assume the other portion of the book to be truth. overall a job well done. I know Prior service has been on the market for a while, but I have recently purchased a copy. The say stories I can personally Identify with are pretty accurate as I recall. I would like to personally congradulate CS@ Stevens on turning a bad situation into an admirable situation. God Bless you brother. Thanx for representing me right brother. Some people who I have spoken with about the book aren't too happy though. I know what I read to be truth. Good luck with your authorship. 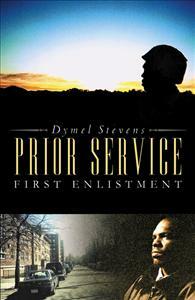 Prior Service gave me a glimpse of what a military experience is like through the eyes of a young African-American man who's mental toughness was tested. This book took me back to a time that I had almost forgotten!! I walked this path and with every word I played it out in my head as though a movie was being played for me!!! I really appreciate this book it reminded me of what I had and what life I was so naive about and had given up.